We had many Exchange program during 2015-2016. 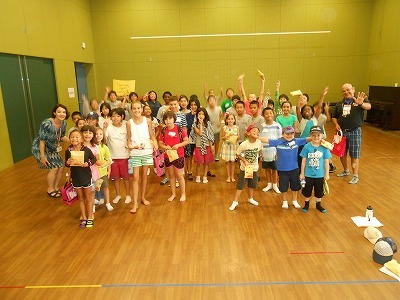 On Thursday July 2nd we had first visitors from Killin Elementary school. 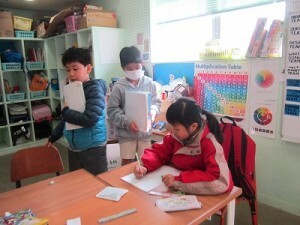 They visited AMICUS grade 1 and grade 5. They had a very good time. We had １６ high school students from Germany on Friday October 16th. 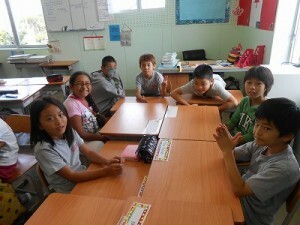 It will be the AMICUS students in 4th year since we start inviting German students to AMICUS. 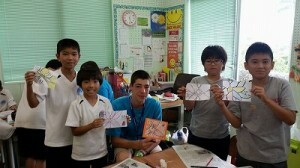 They spent time with from grades 5 thru 8. 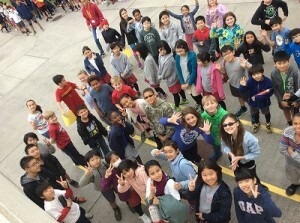 They enjoyed very much. 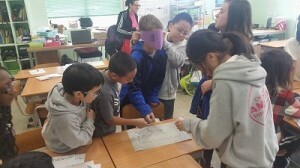 On Thursday December 17th we had visitors from Bechtel Elementary school on base. 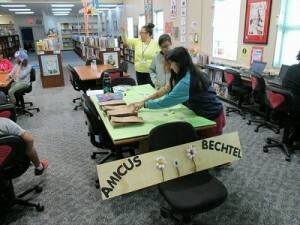 80 Students of Bechtel visited our 5graders. 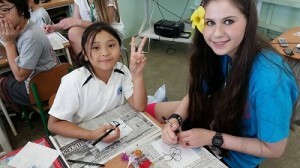 They had Japanese, Science, English and Art lessons with our students. 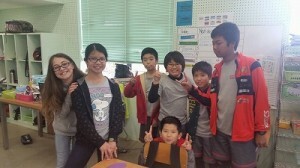 One students from Bechtel said, ” I never had such a wonderful field trip before’. 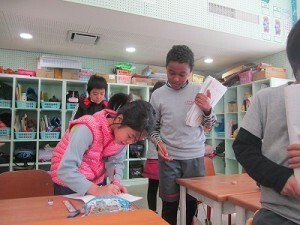 On Wednesday February 10th we had 23 visitors from Hong Kong Lutheran Elementary school.Our 3rd and 4th graders hosted them. They had a very good time. 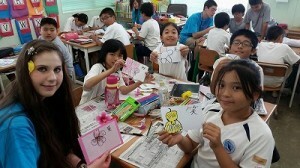 This is 4th years for their visit. 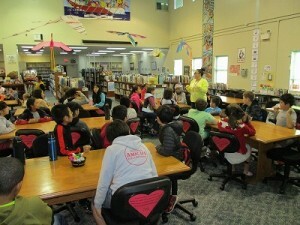 On Wednesday February 10th our fifth graders visited in Bechtel Elementary school. 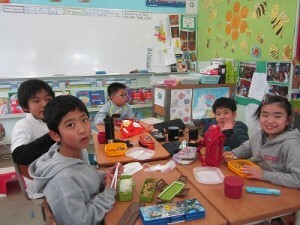 We had a normal lesson in English and lunch with them. It was very good opptunateiy. 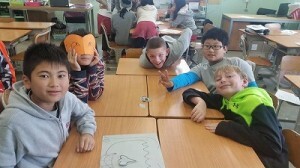 We had a very good Exchange program this year. 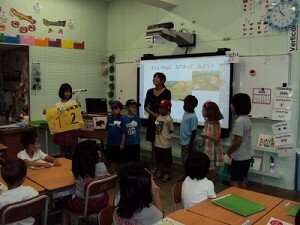 We hope our program will continue and be as fruitful as this year. In Okinawa will have event worldwide uchinanchu festival this October. We can expect to have visitors from this event. Thank you very much for all your special support and understanding.